We bid a sad farewell to Tom Lantos (D-CA). I live in Lantos' district, but I already had a lot of respect for him long before I moved to the Bay Area. Lantos will be very, very hard to replace. The generation that experienced Nazi occupation and the Holocaust first-hand had a lot to offer the rest of us. Having fought in the Hungarian Resistance, Lantos could articulate the importance of politics, in just a few words, far better than most politicians in a hundred. That's only a small example, but in the midst of a campaign season, it's worth remembering. We will miss him. This news article and this Wikipedia page give a small taste of his contributions. I'm returning to writing Arms and Influence after the longest absence so far. I could cite any number of valid reasons, mostly related to work, that have interfered with blogging. However, I have to be brutally honest about another reason: disgust. Blogging runs on hope. You have no idea who reads you, but you hope that someone does, and will take you seriously enough to respond once in a while. You'd have to be an egomaniac to think that you'll impart more than a tiny amount of momentum to the vector of current events, but you hope that you might nudge the world in a slightly more positive direction. It's hard on the soul, therefore, to have your hopes dashed. I'm not saying that I've lapsed into complete hopelessness, but I have been plagued with a great deal of disgust. With whom? Let's start with the Democratic Party. It's not hard to figure out why the President and the Congress both have abysmal approval ratings. In 2006, voters sent more Democrats to Washington because they expected them to take action against Administration policies that were variously bone-headed, illegal, and corrupt. The electorate expected hearings into important matters, such as the conduct of the Iraq war, that had received far less public discussion and Congressional oversight than they deserved. Voters also expected the newly-elected Democrats to impress us with history-making legislation, at a time when history seems to be making mincemeat of us. In short, the Democrats act as if none of them really know anything about politics. In my fantasy world, I'm sending every Democratic leader and legislator a copy of The Prince, with the section on whether it's better to be feared or loved heavily underlined. No one is afraid of the Democrats. That's no surprise, since they don't take risks that might lose them votes. Putting Democrats into power in 2006 was not merely a question of policy. Many citizens saw their votes as individual atoms that would help rebuild Constitutional authority in US politics. Part of the outrage against the Republicans, both in the White House and in Congress, has been their eagerness to circumvent or ignore parts of the Constitution that they found inconvenient. The silly notion of the unitary executive--it's not argued or supported well enough to deserve the label of "doctrine"--is only one facet of this indifference and even hostility to the Constitution. In 2003, Americans collectively ignored the Constitutional checks on the President's warmaking powers, which are hardly absolute. In the last several years, Americans have seen the deliberate dismantling of habeas corpus, unreasonable search and seizure, due process, and other Constitutional guarantees. For these voters--the ones who often volunteered their time, money, and passion to support Democratic candidates--the Democrats in Congress had a far bigger responsibility than rectifying bad policies. They were also responsible for reconstructing the institutions that prevented bad policies from being pursued in the first place. Every day on the job in Washington, these men and women pass the marble and granite manifestations of our Constitution. They frequently drive by the actual Constitution and Bill of Rights, as preserved in the National Archives. Every day, visitors to the capitol, people who have sworn no such oath, are impressed by the wisdom and gravity of the US form of government. We expect our elected representatives to share these feelings, and to be bound by the duties to "support and defend the Constitution," even if you lost a few votes in the process. You now understand a big part of what has kept me from writing this blog for a month: it's hard to continue when you don't feel you're doing much good. Meanwhile, as we waste time on who might be the Republican or Democratic candidates for the presidency, men and women die every day in a war started in haste, waged indolently, undermining our national security, warping and breaking our form of government, and poisoning our national soul, but on which the man in the White House insists absolutely. Tom Engelhardt's article about the proposed 9/11 memorial--"the largest, most expensive gravestone on earth"--captures many of my own feelings. There are no good choices about how to memorialize the World Trade Center victims; recent history has made these difficult decisions even more painful. First, it's clear that the World Trade Center memorial is not going to be like the war memorial that marks American triumphs of right over wrong. 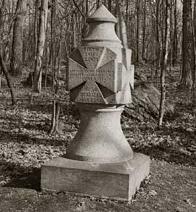 You can feel sorrow when you visit the Gettysburg battlefield, or the Allied graveyard overlooking Omaha Beach, but the cold, stone markers stand for justifiable sacrifice as much as grievous loss. We beat the slave-holding Confederacy. We beat the genocidal Nazis. The historical and emotional scales dipped in the right direction. However, there's no triumph to commemorate at Ground Zero in Manhattan. Nineteen terrorists, through a combination of guile and luck, slaughtered thousands of innocent office-workers and airline passengers. It's important not to leave a scar in the earth where the towers used to be; otherwise, you give the 9/11 hijackers and the people who helped them a kind of reverse triumphalist memorial, rubble instead of chiseled stone. Like the dead bodies and smashed buildings that the Nazis left in their wake, the wreckage of the 9/11 attacks need to be cleaned up. But, short of paving over the original site of the World Trade Center, what should be done? The proposed underground museum, which will recount the 9/11 attacks, is fine, but at this point, hardly necessary. No one in the world, and certainly not in the United States, needs to be reminded of 9/11. Our memories of that day are not faulty; our grief hits us with no less force. Most battle sites lacked official markers or museums for years, sometimes decades, after the actual events. Why, then, the need to rush into construction a museum for the mass grave at the southern tip of Manhattan? Engelhardt's article makes an important point about our memories and feelings about 9/11: since the Bush Administration worked very hard to connect the 9/11 attacks to the Iraq invasion, Guantanamo Bay, warrantless wiretaps, and other policies, it's nearly impossible to separate our feelings about 9/11 from our reactions to these subsequent events. Perhaps nothing should be done until Bush leaves office, since his legacy of hubris and calamity falls over the World Trade Center site as darkly as the shadow of two airliners slamming into the towers. Americans can't celebrate the 9/11 attacks, squeezing some non-existent victory out of that terrible day. We can rise up, in defiance of the sort of monstrous evil that killed the World Trade Center victims. We can abandon momentary despair for confidence, but not arrogance. They can renew their faith in our own country, without letting nineteen hijackers drive us to abandon our own cherished principles and institutions. We can take comfort in the fact that we are not alone (approximately one-fourth of the World Trade Center casualties were not US citizens; the world offered its help immediately after the attacks), instead of charging forth in unilateral rage. We can keep the 9/11 attacks in proper perspective (over 125,000 Americans died liberating Normandy in 1944, of which 1,465 died on D-Day alone), instead of embracing the role of World's Greatest Victim. As a symbol of defiance against evil, and remembrance of those who died, one or two spotlights shining from Ground Zero might be a good idea. However, mounting a light on top of a 1,776-foot "Freedom Tower" is wrong for far too many reasons. I've never published poetry on this blog, and I've never published anything here that I haven't written. Today is a bit of a landmark, therefore. Someone sent me the following poem, which I thought deserved publication. (Once you read it, you can see why the content is appropriate for Arms and Influence.) The author wishes to remain anonymous. a bad spell, everyone just temporarily mad. the tightening in the gut, just can't be real. underwear, reading what you said. He's finally come for me. After reading Robert Farley's reaction to the movie United 93, I'm even less inclined to see it than I already was. A technically proficient depiction of events I've replayed in my head, over and over again, for the last five years probably won't help me glean any new insight into the 9/11 attacks. It doesn't help that I knew Todd Beamer in passing. He and I worked at the same company, and we had occasion to collaborate on a couple of projects. (I was helping him craft a sales pitch to potential customers of the software we were developing.) As was the case with many people watching the 9/11 attacks as they unfolded, at least one person I knew died in the World Trade Center, the Pentagon, or an empty field in Pennsylvania. Do I need to relive Todd Beamer's death? I'm no wimp when it comes to watching fairly depressing movies and TV shows. In the last couple of weeks, I've watched documentaries about mental illness in American prisons, the imprisonment of American GIs in a Nazi labor camp, and the Chinese government's campaign to erase the Tiananmen massacre from public memory. My DVD collection contains such light-hearted fare as Glory, in which all the major characters die at the end. However, I'm just not interested in replaying the 9/11 attacks, for the sheer sake of admiring someone's skill at doing so. I'm more keen on seeing Americans get a more realistic perspective on 9/11, not as the "day everything changed," but as "the day some Al Qaeda terrorists got unspeakably lucky," or maybe, "the day Americans woke up to a threat that was already there." I'm not sure if United 93 helps or hurts that effort. It's belaboring the obvious to state that we live in a decade when religion has enormous power to ignite or mute conflict. We're also going through a time when major segments of both Christianity and Islam are having a hard time co-existing with science. It's therefore heartening to read something like this petition, signed by 10,000 men and women of the cloth, proclaiming their belief that religion and science can comfortably co-exist. If Maoist rhetoric can't convince would-be dissidents that the Chinese Communist Party is just trying to keep them from hurting themselves on the Internet, maybe Hello Kitty-style cartoon characters will help. Ah, if only it were a joke. When Christmas Day finally arrives, it always seems like a bit of an anti-climax. After forty-three Christmases, I think I've finally figured out why. Christmas, like other holidays marking the end of the calendar year, is an introspective holiday. All bright trappings, clamorous music, and back-slapping good-fellowship aside, Christmas grabs you with two hands and forces you to look at your life. The first hand is, as I said, the end of one calendar year, soon yielding to a new year ahead. You're faced with the record of 365 days of choices behind you, and another 365 ahead. How wise or foolish these choices have been is, of course, the question that haunts the holiday, in much the shape and style of Scrooge's three famous spectres. The other hand of Christmas is the moral symbolism of the holiday. Turn one way, and you're face to face with Santa Claus, the secular symbol of ultimate charity--something which all of us fall short of achieving. Turn the other way, and you're facing Jesus, who may or may not be the son of God for you, but who nonetheless graced this world with a powerful moral message. Whether or not you think the Pope speaks for God, the Holy Spirit passes through the congregation at Sunday services, or it's possible to be sufficiently moved by a hymn to babble in the tongues of angels, Jesus can prod you, as he is reported to have done to the people around him, with sharp questions. Who is the better person, the outwardly pious individual, or the maligned Samaritan who helps a person bleeding to death? Is the compulsion to do the right thing--what Jesus probably meant by the word faith--something limited to his apostles, or a trait that even a pagan, Roman soldier could have? And who can say for certain whether the father of the prodigal son made exactly the right choices dealing with both his sons? Christmas, therefore, is a holiday with power beyond both the strictly secular and the strictly religious. When Christmas Day arrives, the frenzy of December begins to wind down, all the packages have been opened and all the relatives and friends called, I'm left, as you may be, with a question: Is that all there is? Please don't mistake what that question really purports to ask. It's not, Are these all the presents I got? Are these all the people who can wish me good cheer on this holiday? The question really is, Is this all that I can be? It's OK to be bothered by this question. Both Jesus and Santa would want you to ponder it, at least for one day out of the year. (Probably every moral thinker from Aristotle to the Buddha to John Rawls would approve as well.) It doesn't have to overshadow whatever good you have done in the world, and you don't have to feel guilty if, indeed, you're grateful for the good things you have. The question really is, what should you do next? Living through a troubled age grants you an unfortunate bounty of choices. You can give to organizations involved in good works, such as sponsoring a child in Central Asia, providing medical care to families in Africa, or demanding that the Chinese government release its political prisoners. If you have the time, you can volunteer your labor to build homes for the poor in Latin America, help Sri Lankans recover from both a brutal civil war and a devastating tsunami, or bring a steady supply of food to people to people who were destitute before Hurricane Katrina, and homeless afterwards. Charitable works aren't enough, however. You need to be charitable in your heart. Last night, Alan Jones, the dean of Grace Cathedral in San Francisco, said in a moving sermon that Christmas is like being handed a infant. Suddenly, you're responsible for a small life that, mere mortal or Godhead incarnate, nonetheless represents the future of mankind. It's not what you expected, nor will you know what happens next. The only thing of which you can be confident is your own desire to do the right thing. Writing this blog is a duty for me. Not a chore, but something I do because I feel I have to. I feel bad when I don't post, even though I have no idea what good my work on this blog does. The possibility of doing good, however, is all that I can be confident in having. I feel bad on days when I don't post, and I feel uplifted when I have the time and energy to add what I hope is a little enlightenment about a frightening and confusing subject. (Maybe if these posts weren't long-winded, I could write more of them.) I also hope to make it easier for people who strongly disagree, but nonetheless have the same compulsion to do good, to identify common signposts on the road ahead. All of us have the same chances every day, in conversations we may avoid having with one another, for fear of offending or enraging. I strongly believe that it's better we do converse. We may be delighted or disappointed at the results, but the important thing is to try. The life of a child in Nyala, a woman in Kandahar, or a soldier in Baghdad may depend on the results of that conversation. So, from the bottom of my un-churched, heathen heart, happy holidays to you. Let us embrace the next year of challenges together. 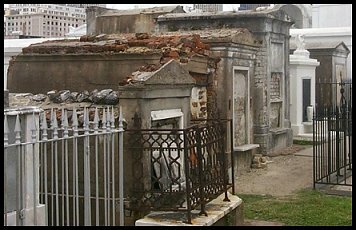 --Bruce Springsteen, "My City of Ruins"
One of the defining and saddest moments of New Orleans history was the yellow fever epidemic during the 19th century. Members of both high and low society had to step around or over corpses in the streets, and the city's love affair with alcohol deepened as a "live for the moment" mindset took hold. I suspect that the era of "yellowjack" was midwife to another part of New Orleans, a acid honesty about the human condition that burns through any self-delusion or wishful thinking. New Orleans may have been home to generations of crooks and charlatans, but you'll find little sentimentality among its residents. 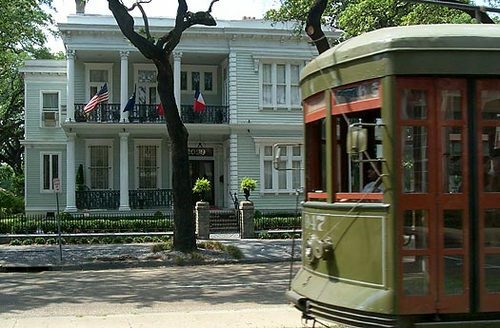 Let me then apply a little New Orleans-style honesty to a topic near and dear to this blog. The Department of Homeland Security (DHS) is an expensive, colossal farce that has made Americans less safe. Two weeks ago, someone reading the previous statement might have dismissed it as the grumblings of a unhappy scribbler. Today, in the face of FEMA's globally-televised ineptitude—a government agency reduced to being worse than useless, since it has actively interfered with relief efforts—that statement seems banal. Contributing to the government-wide effort to prevent another 9/11-scale attack. Ensuring a more rapid, effective response to any catastrophe, from terrorism to tornados. In the din of current events, it's easy to forget those halcyon days of pre-Iraq war yore, when the Bush Administration clearly resisted the recommendation of a pre-9/11 commission to create the Department of Homeland Security. It's equally easy to forget how the Bush Administration, having failed to evade implementing this recommendation, finally caved into pressure from Congress (including many in the Republican Party, signed the Homeland Security Act into law, and outrageously claimed the idea had, all along, been its own. Americans have a hard time understanding the difference between policy and execution. It's a blind spot in which politicians position themselves, issuing press conferences about "decisions" that they don't actually plan on enacting. This political reflex may be part of the reason why members of the Cabinet, the DHS, and Congress raced to the microphone after New Orleans sank to declare how sad they felt (as if anyone cared) and how willing they were to make important decisions. It's also why these same politicos seemed befuddled that the kind of pronouncement that used to work, even when the country was digging out from a terrorist attack or invading a foreign country, inspired anger, not acquiescence. Katrina blew away any wishful thinking or benefit of the doubt people were willing to lend the Bush Administration about the DHS. Those who have argued in the last few days that the DHS has been too focused on possible terrorist attacks are missing an obvious point: the DHS is no more ready to respond to a terrorist attack as it is to a hurricane. Had terrorists bombed the levees, barricaded the roads with fallen trees, and attacked the port facilities in New Orleans, the DHS' response would not have been any more impressive. Here's another point many Americans might have forgotten: incompatible and inadequate radio equipment hampered rescue efforts on September 11, 2001. Police, fire, paramedics, and other emergency responders lacked the most basic ability to communicate with one another. When Hurricane Katrina made landfall on the Gulf Coast, almost four years after the 9/11 attacks, the same problem with incompatible radio equipment existed. In 2001, the country's leaders swore that this problem would never occur again. In 2005, it did. Having demoted FEMA in the DHS reshuffle, the Administration also took exclusive responsibility for coordinating disaster relief away from FEMA. Unfortunately, it didn't clearly assign this responsibility to a different agency. The Administration froze the budget for the Army Corps of Engineers. Among other increases it had requested, the Administration denied ACE's request for more funds to strengthen the levees around New Orleans. Michael Brown, the current director of FEMA—not to mention a significant number of his immediate subordinates—has no disaster relief experience. In fact, Brown has a less than stellar resume by any measure. The Republican-controlled Congress and the Administration jointly approved measures that denuded the wetlands surrounding New Orleans, a critical bulwark against catastrophic hurricane damage. FEMA and its parent organization, the DHS, were notably silent on this question. Even though there were clear warnings that New Orleans would suffer unspeakable damage and casualties if a level 4 or 5 hurricane struck the city (click here and here for specifics), FEMA, the DHS, the White House, and Congress all failed to act on these warnings. Even a briefing from the head of the National Hurricane Center didn't spur DHS Secretary Michael Chertoff and FEMA Director Michael Brown into action. No amount of direct appeal from city, parish, or state representatives moved FEMA into swifter action. The Gulf area contains two critical points of vulnerability for the US energy supply. The Henry Hub, a network of natural gas pipelines that spread out from Louisiana, is the major nexus for natural gas delivery across most of the continental United States. The LOOP, the transshipment point off the Gulf Coast for oil tankers, is the only facility in the United States capable of docking the very largest tankers from the Persian Gulf and other oil-producing regions. Had Katrina damaged one or both of these facilities, we would be facing an unimaginably worse energy crisis across the US. The vulnerability of both the Henry Hub and the LOOP was already a subject of concern, as this report on the LOOP demonstrates. The DHS exists in a pocket universe separate from the military and most other national security bureaucracies. For example, US Northern Command (NORCOM), the military's "combat command" covering North America, was preparing to assist disaster relief efforts before Katrina made landfall. However, the order for them to deploy did not come until days after the disaster—and, according to available evidence, the DHS was not lobbying the Administration to give the order. The already-broken Guard and Reserve component of the military's force structure is not factored into disaster relief calculations. Note, for example, how this news item from the National Guard's own periodical overlooks the non-combat responsibilities of the Guard. As the post-Katrina fiasco shows, there is no mechanism to ensure that replacements for police, EMTs, and other emergency responders cycle into a disaster area before they burn out. New Orleans mayor Ray Nagin reported on 60 Minutes that two police officers had committed suicide in response to the horrors they had witnessed for days on end. People willing to help the Gulf Coast recover are receiving no basic guidance on how to pitch in their own labor, which private agencies like the Red Cross most need donations, or how to directly assist families who need food, water, housing, or other forms of support. This failure extends to the people living within the disaster zone, such as a caller to NPR's All Things Considered this Saturday. A resident of Covington, Louisiana, the caller rightly criticized how a lack of fuel and water has stopped locals from helping each other. In contrast, FEMA's advice that, if citizens want to help, they can contribute money to FEMA has left many taxpayers apoplectic. So far, no federal official has made any mention of "lessons learned" from other countries' experiences handling hurricanes, typhoons, or floods. As in many other policy areas, Administration officials continue to speak as if the United States existed in vacuo. The United States has proved incapable of mobilizing resources in a time of national emergency on a scale it was once able to achieve. For example, tourists visiting the Normandy beaches can see the immense artificial harbors that the Allies constructed for D-Day. Nothing like that engineering feat has occurred to make Americans safer from terrorist attack or natural disaster since 9/11—all efforts of President Bush to compare the Global Struggle Against Violent Extremism (GSAVE) to World War II, and himself to President Franklin D. Roosevelt, to the contrary. These problems may seem insurmountable, but they're not. In the best of circumstances, a colossal national effort will be required to overcome them. Obviously, a country of our size, resources, and experience should be capable of making such an effort. However, any campaign to fix the problem will run immediately into another obstacle: the political ideology and style of the Bush Administration. In other words, we can't just speak of a bureaucratic breakdown, or a few unwise appointments to key federal posts. There is a political culture in the White House and Congress that will impede our nation's ability to clean up this mess. DISCUSSION LEADER: OK, let's hear some creative ideas about how to fight terrorists. Anything at all. I'll just write them up here on the white board, and we can pick them apart later. PARTICIPANT: Uhhh, I know this sounds crazy, but I have an idea. Since the terrorists are hiding from us everywhere but Iraq, maybe we could lure some of them into attacking the United States? That way, once they stick their heads up, we can lop them off. DISCUSSION LEADER: Um...Er...[Pauses for a long time, struggling over what to say.] I'll just write it down and we can discuss it later. PARTICIPANT: How about hiring Tom Clancy to advise us? He sure writes some good airline reading. DISCUSSION LEADER: All right...Any other ideas? Any at all?